The Altair and U.S.S. 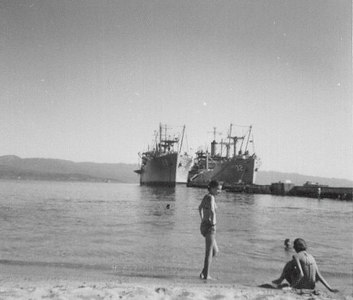 Hyades, AF28, at Corsica on August 3, 1963. Photo courtesy of Mike Troiano.